If you are looking for Mooloolaba Furnished Rental Units with style, spaciousness and a vibrant central location, consider Riverdance Apartments – the perfect place for an excellent value packed family getaway and situated in the most desired locations in Mooloolaba. Our Mooloolaba Furnished Rental Units are nested halfway between Caloundra and Maroochydore, and is home to the renowned Underwater World and wharf, beautiful waterway, and a long beach. The famous Australia Zoo is only a short drive away in Beerwah, home of the famous Crocodile Hunter, Steve Irwin. Your Mooloolaba Furnished Rental Units is just 5 minutes walk to the Wharf complex. Just around the corner is a variety of restaurants, cafes, and beachside shops, and of course the patrolled surf beach. Offering stylish décor, our Mooloolaba Furnished Rental Units are fully equipped with a kitchen with European appliances, a front and rear balcony, separate laundry and two bathrooms. Everything is supplied for a relaxing family. These luxury 1, 2 & 3 bedroom apartments – all of impeccable quality – can house up to six people. So resort-style Apartments Sunshine Coast becomes more affordable. Your Apartment on the Sunshine Coast has spacious living areas, opening out to a wide balcony and offer an expansive view of the waterway, park area and wharf. Nobody misses out on a view. You also have the choice of lower level, mid or upper level floors. Riverdance Apartments offers fantastic resort and room facilities to make your getaway one to remember. For a romantic escape, our luxury penthouses offer spa suite decadence, with direct access to a roof garden, capturing magic views of the water. 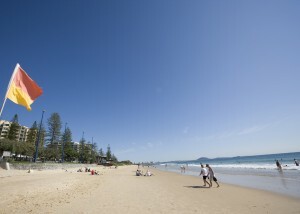 Enquire now for our best prices and latest special offers for Mooloolaba Furnished Rental Units! Riverdance Apartments -the jewel of the Sunshine Coast.